Discover the Freedom and Benefits of All Natural Pain Relief with Australian Oil of Eucalyptus! Reduce your Pain NATURALLY with our Unique Blend of 100% All Natural Ingredients. Get Relief for Arthritis, Rheumatism, Sprains, Back Aches, Muscle Aches, Heel Spurs, Carpal Tunnel, Tendonitis, Headaches, Migraines, and More! 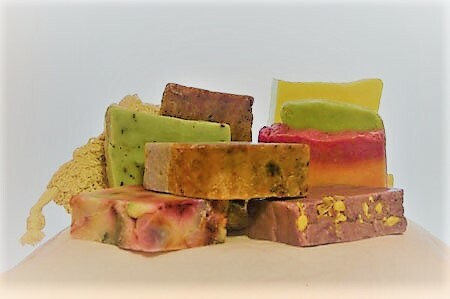 Relief and Help in Healing Psoriasis, Eczema, Insect Bites, Cuts, Abrasions, Post- Surgical Scars, Rashes, Cold Sores and More. Great Skin Moisturizer! 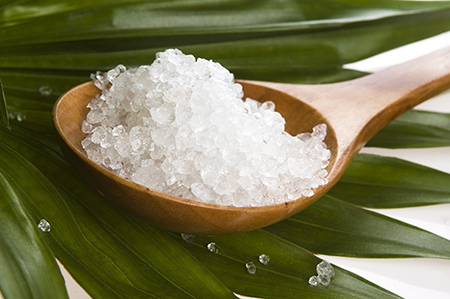 A Simple, Effective Way to Get Relief from Sinus Problems, Congestion, Colds, Allergies! Reduce inflammation and Clear Your Airways All Naturally! NO it does not create heat. Some people feel mild warmth after application – this is due to an increase in circulation in the area. Our customers find pain relief from joint & muscle aches, back pain, sinus congestion, skin irritations and more. Makes a great massage oil, and moisturizer for dry skin. Cleans & soothes skin after shaving. Relieves & helps heal psoriasis, eczema, insect bites, cuts, abrasions, post- surgical scars, rashes, and cold sores. Use at least two or more times a day for the first 4 to 5 days. After that use it at least once a day, or as necessary. Take note though that if an area is chronic (i.e. arthritic) and you have a pain free day it is still a good idea to apply oil to the area – perhaps prior to bed. It is Safe, All Natural Therapy and can be used as often as needed. The fragrance will last approximately 15 minutes after application. If the oil marks cotton or blends or washable silk simply pre-treat with a product like Dawn® and wash as usual. 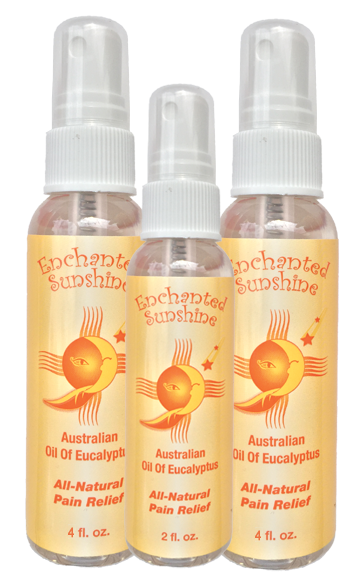 I have been using Enchanted Sunshine Australian Oil of Eucalyptus on my arthritic shoulder regularly and now I can actually sleep at night ! 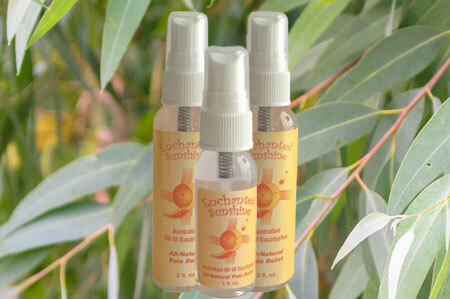 Thank you Enchanted Sunshine, you have a marvelous product! I love this stuff!! Any ache or pain, one spray and off I go. This all natural pain reliever spray totally works, smells awesome and doubles as an insect repellent and a natural hand sanitizer!! Like I said I love this eucalyptus spray! 20 Years of Sinus Problems, tried everything, nothing worked so I thought I would have to just live with it. Since I started using your Eucalyptus Oil my sinus problems have cleared and I feel great!